Repentance is complete and up on the internet. Another step closer to a clean slate. Thank you to everyone involved. Hope you enjoy, more to come. If you like the music please check out Erik Spangler’s MySpace page, DjDubble8, next level music production. What do you think of these for Repentance credits? Yo I like where you are going with it. The black and white totally works well. I don’t know about the three other crosses in the frame. I am sure they are not in the credits and are just there for some reason, but other than that it looks awesome. Good work, cant wait to see it finished. Hey, it’s Chris. 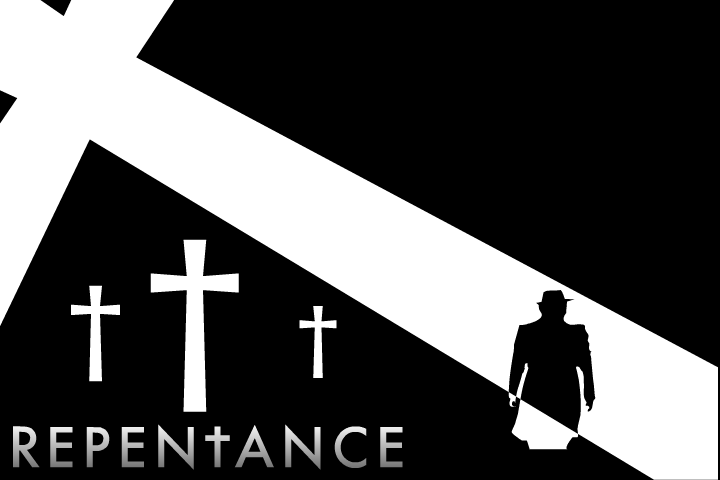 I’m working on the Repentance credits, I’m doing a black and white thing, and experimenting with that style. Inspired by the nasty word animation by Jason Heim over at ColoredChalk.com . Here’s a little teaser. Should be done in a few more days.